Author of the newly released romance novel "Orion". In this galactic-size romance, Commander Susan Davis, pilot of the shuttle Orion, is on a space mission when she is struck by cupid’s arrow. The widow isn’t looking for love, but finds it anyway in Orion, an out-of-this-world novel. Astronaut Chance Walker has been waiting five years for a private moment to tell the woman he loves about his star-struck affections. On one special night, both their lives are changed forever. The novel Orion takes a look at a woman’s second chance at love. The story is filled with joy, passion, tears, as well as a near-death experience. This soul-searching journey travels to the limits to see if romance can be found in the stars. 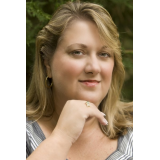 About A.S. Johnson ﻿﻿﻿﻿Disabled veteran turned writer, A.S. Johnson, released her first romance novel December 2010. She is the youngest daughter of six children, a Navy brat who later served in the U.S. Army while attending college at Northwest Missouri State University. She loves to read, travel, cook, spend time with family, and write. 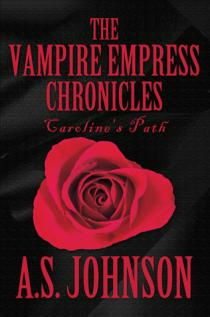 A.S. Johnson is currently working on her next romance novel and a collection of poetry both to be published in mid-2011. In my own words: The inspiration for my novel came after a dream I had. I couldn’t get the dream out of my head so I figured I’d write it down, next thing I knew I had written the first three chapters of “Orion”. I gave the pages to my niece Stacy who at the time was in her last semester of her senior year in college and was soon to become an English teacher. I thought it was a good idea to have her read it and get her thoughts on my dream. She loved it! She loved it so much that she gave the pages to her professor, dean of the English department. Several days later my niece returned my pages to me explaining how wonderful my story line was and she just couldn’t help herself, she just had to have her professer read my work. Needless to say the professor wrote notes on my first three chapters, I felt like I was back in college and nervous to say the least. To my joy Stacy’s professor loved my work, commented that she’d wish I’d been her student, and couldn’t wait for me to become published. It was with those few words of inspiration and support from my niece Stacy and her professor(dean of the English department) that really set the fire under my creative juices. The following day I wrote nine more chapters of my novel. Before I knew it I had “Orion” written.